VANCOUVER ISLAND is truly the jewel of the Pacific Northwest and offers quality lifestyle and affordable waterfront, ocean- or mountain-view properties. The natural beauty of the area and the recreation opportunities can be attributed to Vancouver Island’s wonderful Pacific Coast location and its rugged and diverse geography. 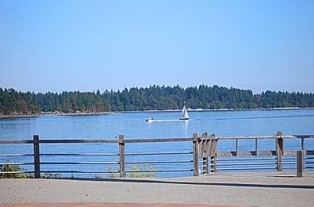 Home buyers from other parts of the province and country are discovering that island communities like Nanaimo and Ladysmith offer many opportunities to invest in Vancouver Island real estate or retire to the mildest climate in Canada. Indulge in hiking, boating and kayaking, surfing, camping, skiing and snowboarding, or simply explore the wonders of the many pristine beaches and emerald forests up and down the coasts of the largest and most spectacular island in North America. 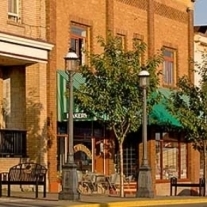 Home ownership in Nanaimo or Ladysmith also offers easy access to excellent shopping, schools, parks, hospitals and clinics, museums, theatres and heritage downtown sites. Close to ferries and major airports, Nanaimo and Ladysmith are strategically located at the hub of the mid Vancouver Island region and only 20 minutes to the City of Vancouver via sea plane, one hour and twenty-five minutes by ferry. As a resident of this area for my entire life, and a realtor for 30 years, I am able to give you unparalleled advice on Nanaimo real estate, homes in Ladysmith or waterfront properties anywhere in the mid island region. Fill in your information below for a free and accurate report on market activity for Nanaimo or Ladysmith or an assessment of your own home. 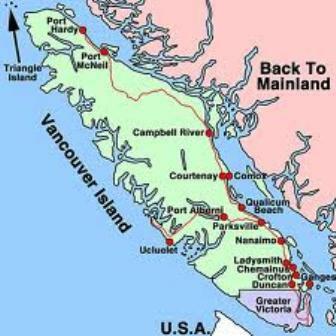 Your new Vancouver Island home and lifestyle are waiting! Would you like to receive a FREE market report for Nanaimo? Ladysmith? Would you like to make an appointment for a FREE market analysis of your home? Which neighbourhood would you like to know more about? eg. Departure Bay, Old City etc.